FBMS Spirit Night at Chick-fil-A will be today, Tuesday, January 16th from 5pm to 8pm. 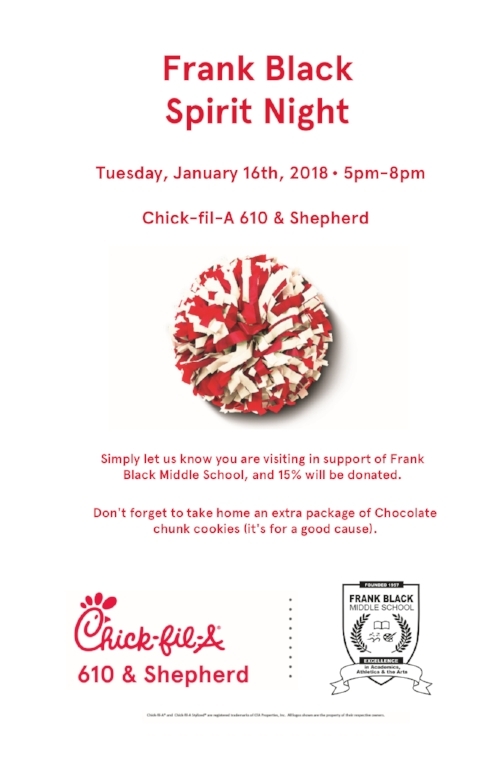 Let the cashier know you are visiting in support of Frank Black Middle School and 15% of your purchase will be donated to the school. PTO Silent Auction: Havana Nights!